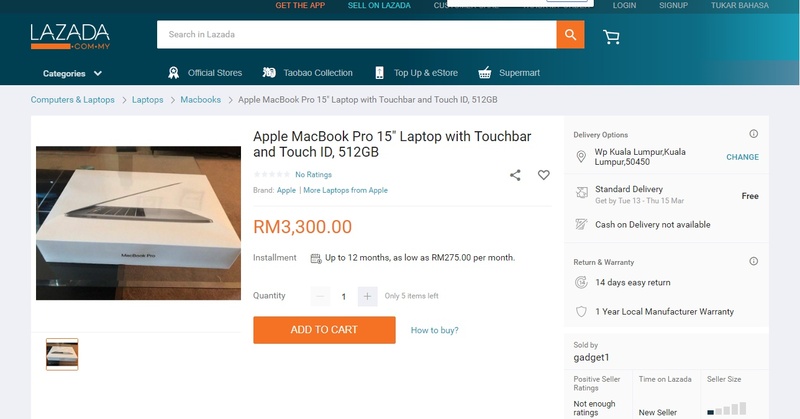 There appear to be a number of scammers claiming to have cheap Apple MacBooks for sale appearing on e-commerce site Lazada. 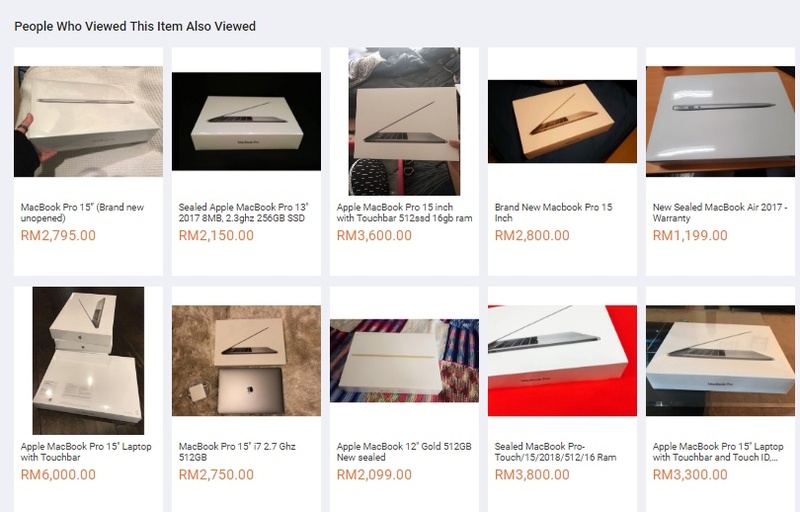 These scammers (it is unknown how many of them there actually are) offer obscenely low prices for the premium laptops in an attempt to snare bargain hunters. User whycare from our own forums reported the issue after contacting one of the scammers for more information. According to his post, the scammers ask potential buyers to bank money in directly to their own accounts; circumventing the Lazada buyer protection mechanisms. There seems to be an extremely large number of these items on offer, and it’s unclear if they are all from the same person. What is known is that the products are going for around half the usual price; making them look very enticing. 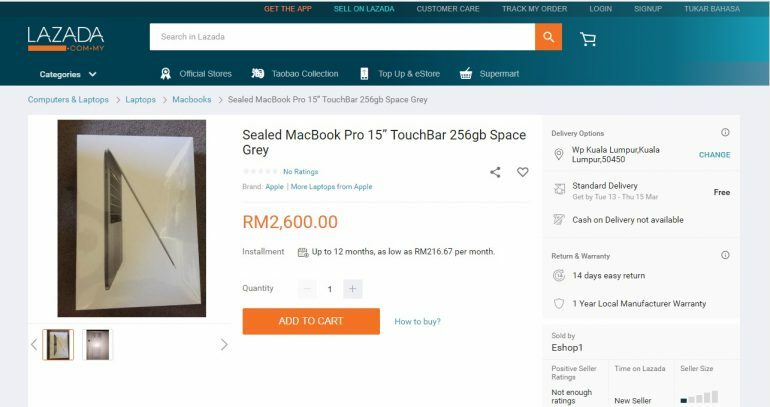 We believe that the sudden appearance of these scammers on Lazada is due to the e-commerce site now allowing individuals to act as merchants. Until recently, retailers were expected to have an SSM registration number to begin selling things on the site. Lazada, for it’s part has already begun to take down the offending pages after we alerted them to the matter. However, it has declined to comment on the matter pending an internal investigation. Online shoppers are advised to exercise caution when buying things online. If something sounds too good to be true, it probably is.